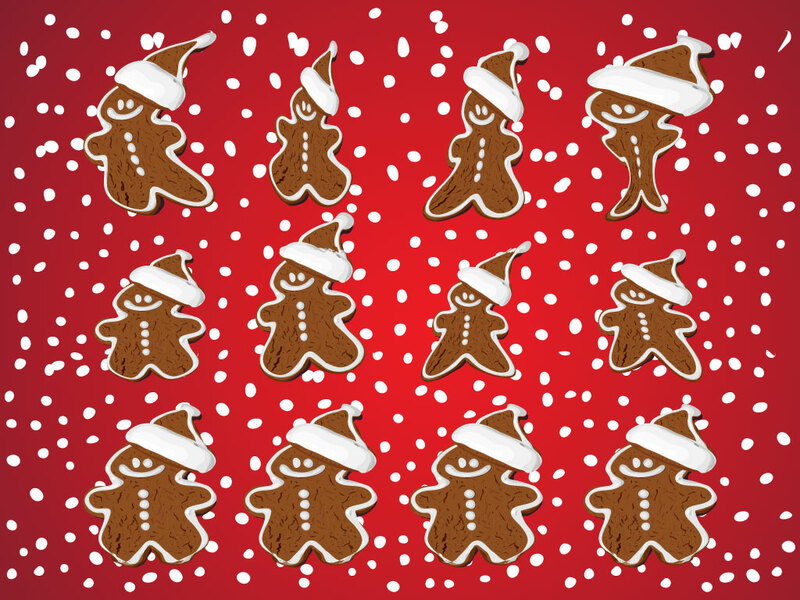 A set of twelve gingerbread men laid out on a snowy Christmas red background. Perfect clip art for your holiday and food designs. Would look great on a greeting card or food blog. Tags: Cartoon, Cookie, Gingerbread, Gingerbread Man, Holiday, Sweet.